Tourism is a key important sector of economy. 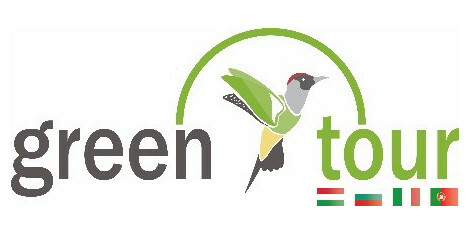 Referring to „Tourism in the Green Economy-Background report” published by the World Tourism Organization (UNWTO) and the United Nations Environment Programme (UNEP) in 2012 the tourism economy represents 5% of world Gross Domestic Product and more than 10% of EU GDP, while it contributes to about 8% of total employment. Reffering to UNWTO Tourism Highlights 2015, which is a World Tourism Organization publication international tourist arrivals in Europe were up 15 million in 2014 (+3%), to reach a total of 582 million. But Tourism is a sensitive sector and constant changing and rejuvenation is essential. Sustainability and the greening are very important nowadays in the global economy. This course explains the characteristics of sustainability and responsibility in the tourism industry. It uses the nomenclature of tourism ecology first as a new term, that is, tourism development theory and practice that naturally makes possible the efficient development of rural and industrial areas building upon natural and social–cultural resources. Because of the complexity of tourist-motivating factors, it is clear that visitors arriving at given destinations have different behaviours or attitudes towards those areas. Tourists’ participation in environmental protection would be ideal, meaning that they could be actively and responsibly sustainable (responsible sustainable tourism). Today this is still a vision, but the already-existing practices that people are trying out in different fields should not be forgotten (environmental excursions, waste-collecting excursions, ethical code of tourism). The main point of the development is to educate a motivate staff with practical professional knowledge. The project with develop a Blended-learning training material is a good motivational factor to train and educate the people employed in the tourism sector, towards to strengthen the number and quality of local jobs created/supported by tourism - increased demand for tourist services is not always followed by increased number of qualified people. The project will increase the knowledge and the quality of the services giving good example a guide for other tourism sectors. Education with specific knowledge and promote local cooperation are the best ways to increase ecotourism sector in the countries of European Union. Technicians and professionals of tourism sector who would like to develop or increase their know-how and skills in this scope. The GREEN TOUR project will increasing new opportunities of employability, developing the existing small business already installed and potentiate new ones to emerge; preserving local nature and culture and also promoting the conservation of green areas. The project will also raise awareness on relevant stakeholders and local development associations about tourism potential of their regions and will facilitate to define policies and strategies as a motor of local development in a sustainable approach. The professional experiences of the partners and the involved educational institutions and the detailled research surveys during the project creation are guarantee the sustainability of the project.